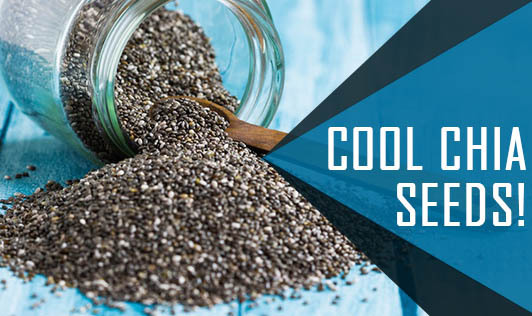 Chia seeds, in recent times, are gaining popularity in the health market. These seeds are blossoming all over the market in different types and forms of products. It is an ancient crop that belongs to the mint family. It is commonly available as sabja seeds or falooda seeds. Chia seeds are recently in limelight because of its high omega -3 fatty acid content. It is also high in fiber and calcium. One tablespoon chia seeds give 5 grams of fiber. When taken in soaked form it becomes gelatinous and takes longer to digest. It is beneficial for pregnant women because of its high omega fatty acid level. Pregnant women, who are concerned about eating fish due its mercury content, can switch to chia seeds. Including them in the diet regularly relieves constipation in pregnant women. These also benefit lactating mothers to improve milk secretion. It gives a cooling effect to the body especially when taken in summer. It is commonly used in lassi, faloodas, and some milk based desserts. Apart from these, you can add them to your fruit smoothies, oat meal or just add it to anything that you bake. It increases the fiber and nutrient content of the dish.